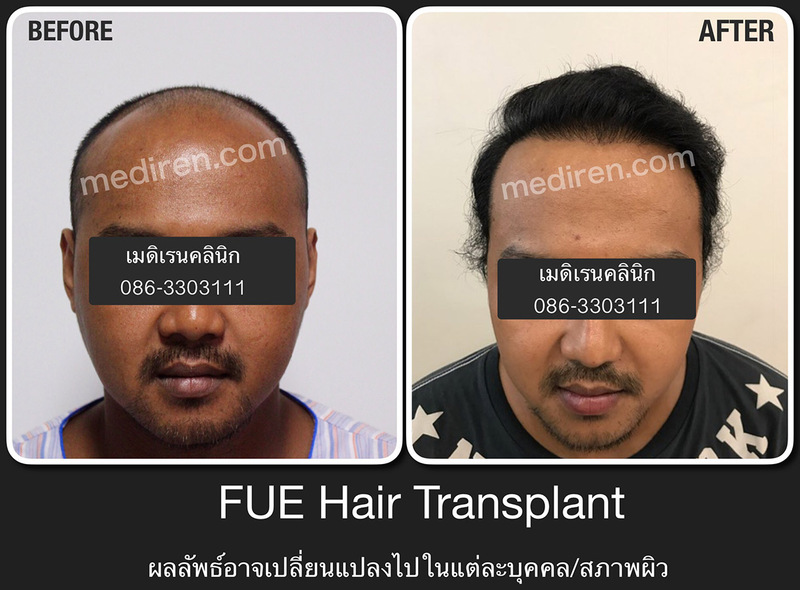 Bladeless or Blade Hair Transplant? 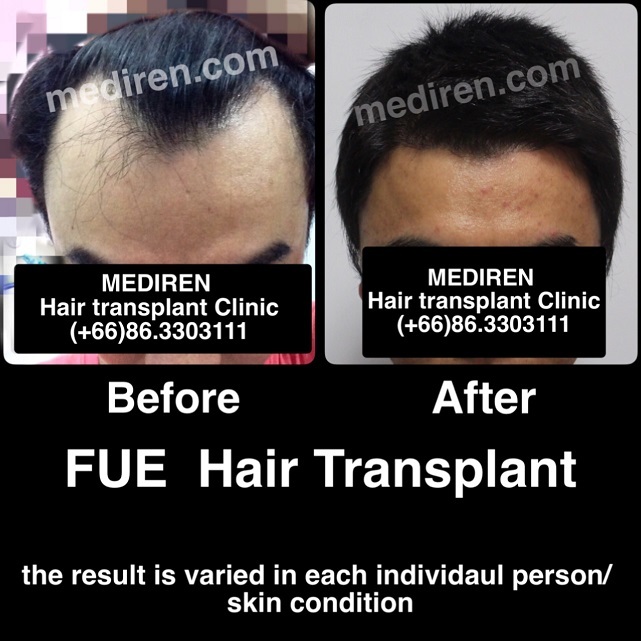 WANT TO DO HAIR TRANSPLANT, PLEASE READ!! 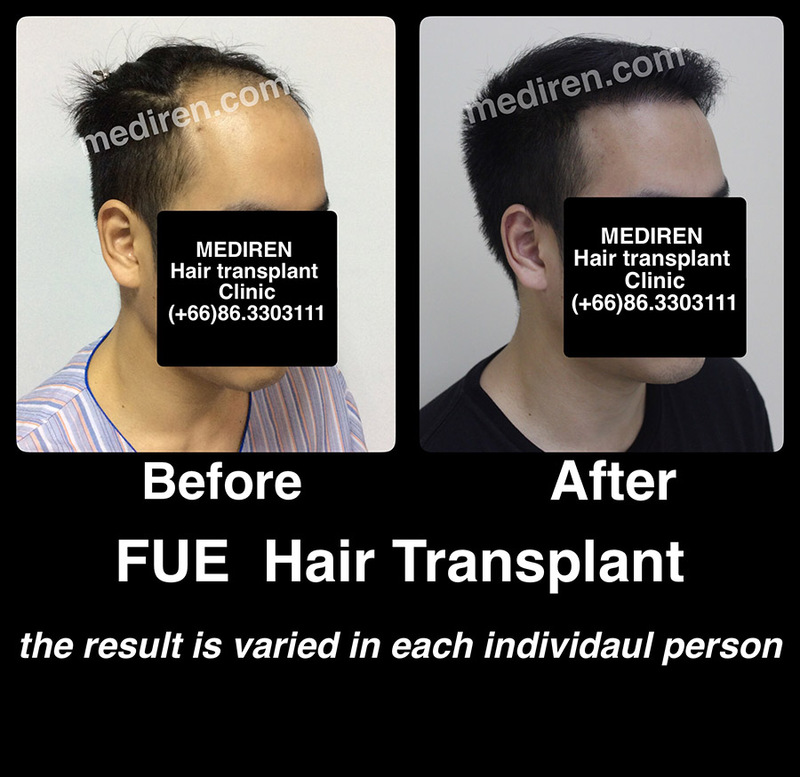 - AT MEDIREN CLINIC, OUR DOCTOR IS AN AMERICAN BOARD OF HAIR RESTORATION SURGERY (ABHRS) DIPLOMATE, SPECILIZED IN FUE, ABLE TO PERFORM FUE EFFICIENTLY (3,000 – 5,000 GRAFTS). THIS IS THE DIFFERENCE FROM OTHER ABHRS DIPLOMATES, SPECIALIZED IN FUT WHO HARDLY PERFORM FUE AS ADDITIONAL JOB. - OUR DOCTOR IS EXPERIENCED FOR MORE THAN 10 YEARS. 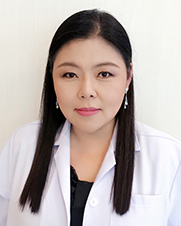 - AT MEDIREN CLINIC, OUR DOCTOR IS ALSO THE OWNER OF THE CLINIC. 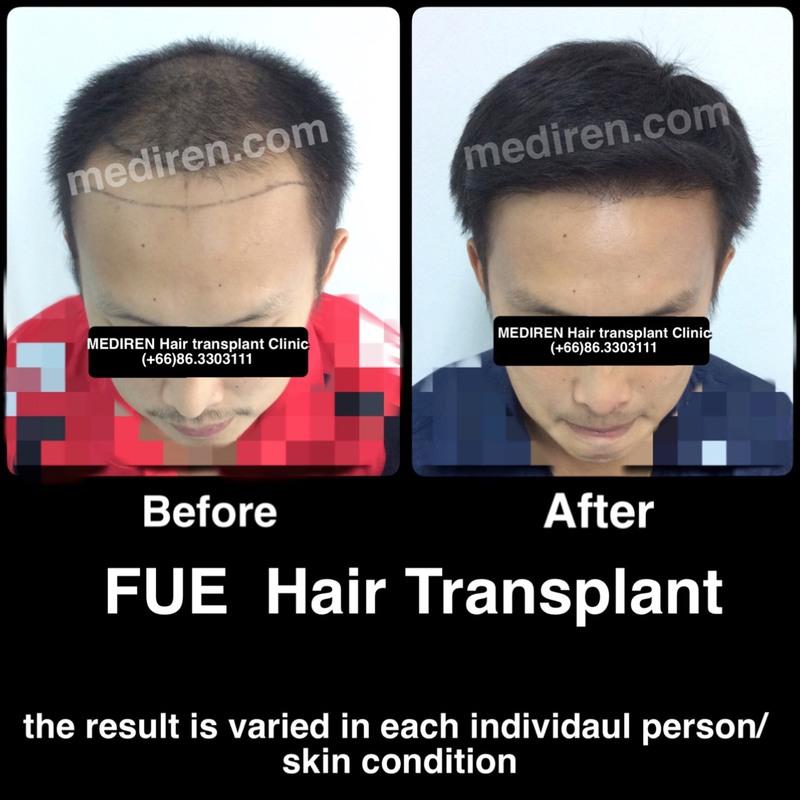 THE GRAFT ASSESSMENT IS THEREFORE BASED ON REALITY ACCORDING TO MEDICAL PRINCIPLE, THE GRAFT IS TRULY COUNTED, EXCELLENT RESULT, TRULY BEAUTIFUL. YOUR INVESTMENT WILL BE FINISHED IN ONE SINGLE TIME. 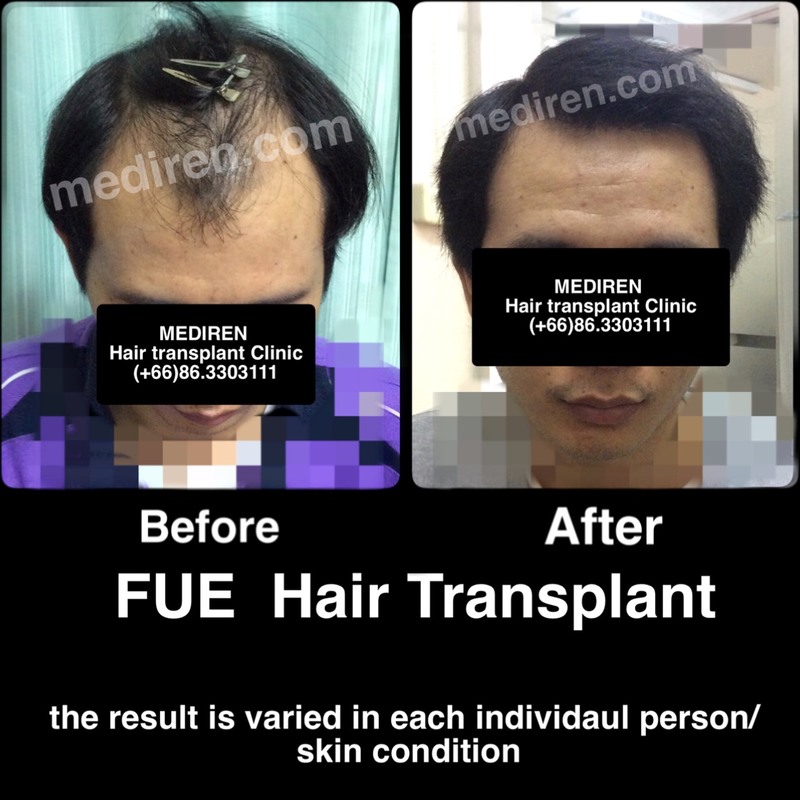 NO REPEATING HAIR TRANSPLANTS IN THE SAME AREA IS NEEDED. 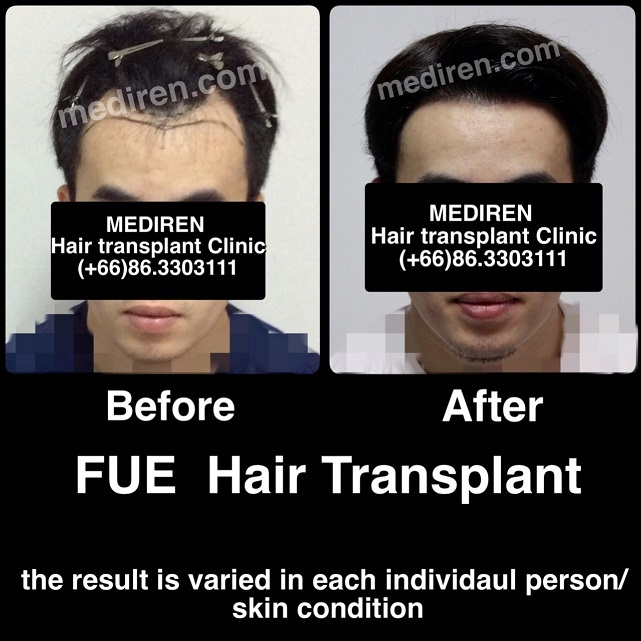 OTHER CLINICS, DOCTORS MIGHT NEED TO PERFORM HAIR TRANSPLANT UNDER SOME CONDITIONS OF BUSINESSMEN OR THE ENTREPRENUERS. 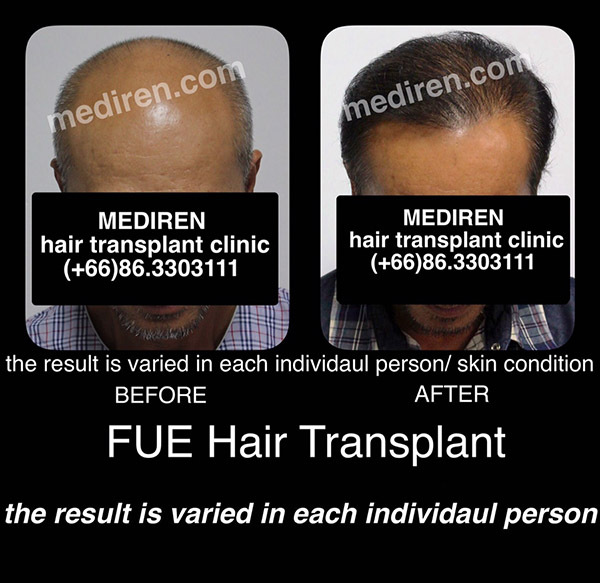 THE MARKETING STRATEGY AND HIDDEN DETAIL ARE ACCOMPANIED IN THOSE CLINICS RESULTING RE-TRANSPLANT IN THE FUTURE. 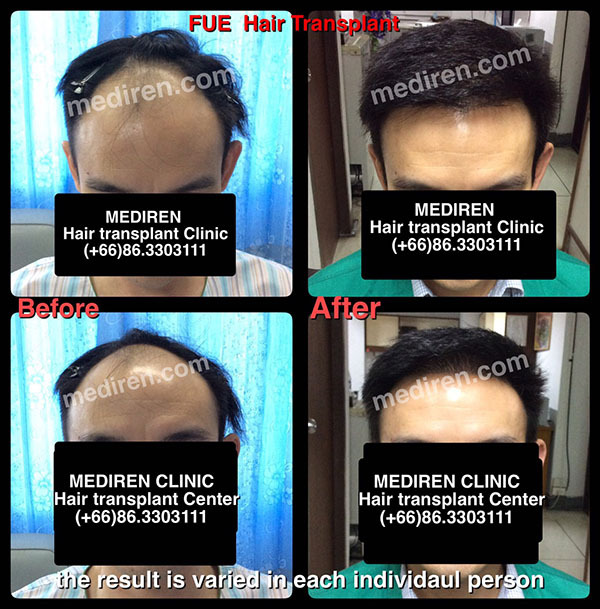 - AT MEDIREN CLINIC, THE DOCTOR IS ALSO THE OWNER OF THE CLINIC RESULTING HIGH RESPONSIBILITY AND RELIABILITY. 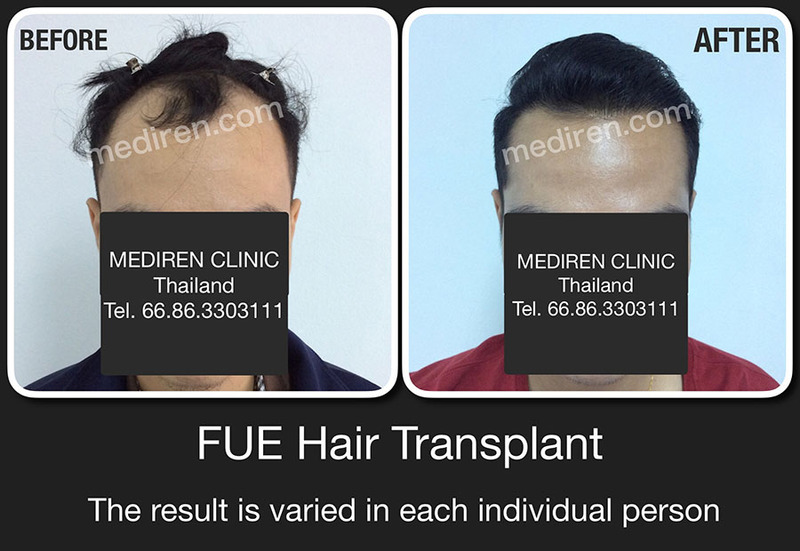 - MEDIREN CLINIC IS AVAILABLE IN 4 PROVINCES; BANGKOK, CHAINGMAI, UDON THANI AND UBON RATCHATHANI. 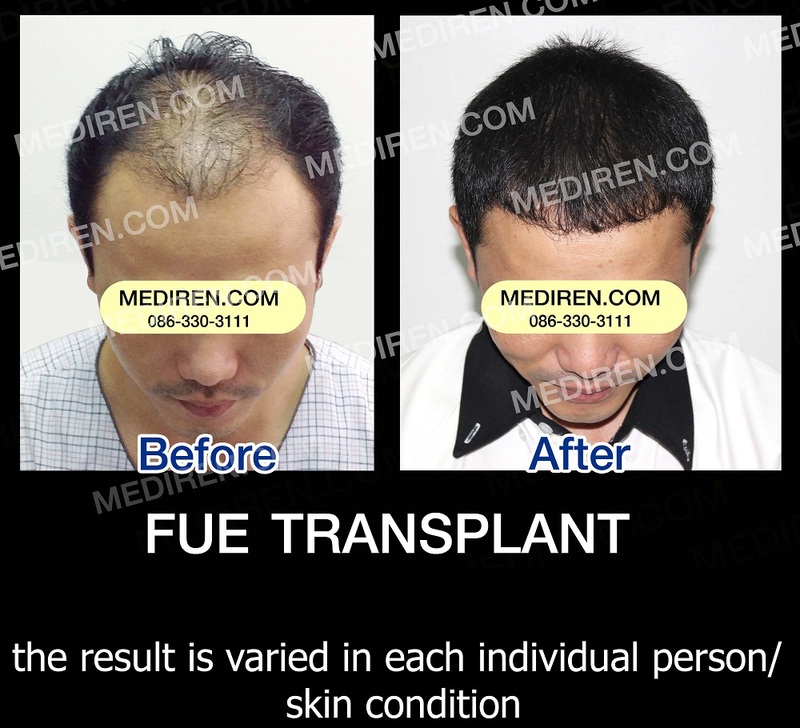 - DOCTOR BEN, THE OWNER, PERFORMS FUE BY HERSELF IN EVERY CASES. 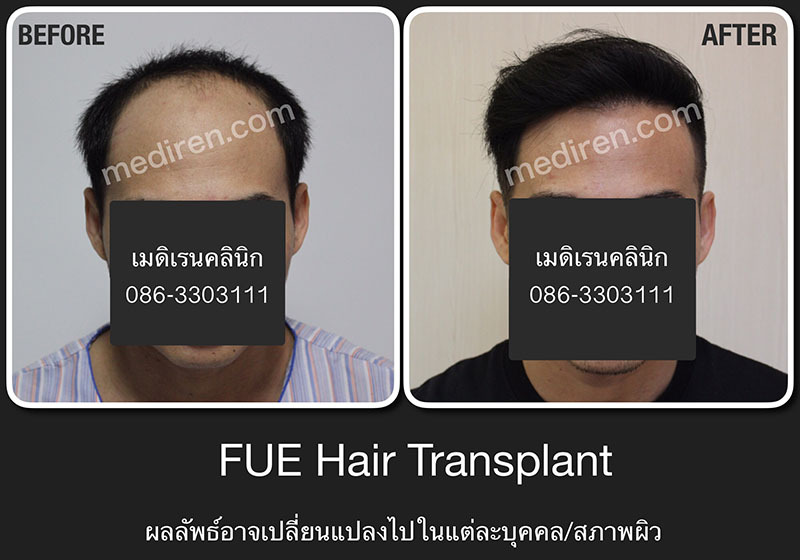 - THE IMPORTANT FACTOR IN SELECTING SUCH A HAIR TRANSPLANT DOCTOR IS THE PERSONAL SKILL OF THAT DOCTOR MORE THAN THE CLINIC DECORATION OR HIDDEN MARKETING STRATEGIES E.G. A PACKAGE OF SET-PRICE WITH UNREASONABLE PRICE. 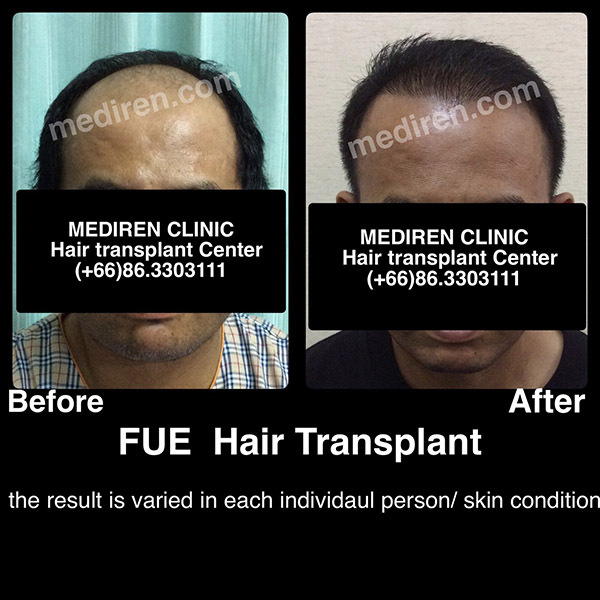 - AT MEDIREN CLINIC, WE PERFORM HAIR TRANSPLANT ONLY, NO OTHER PLASTIC SURGERIES. 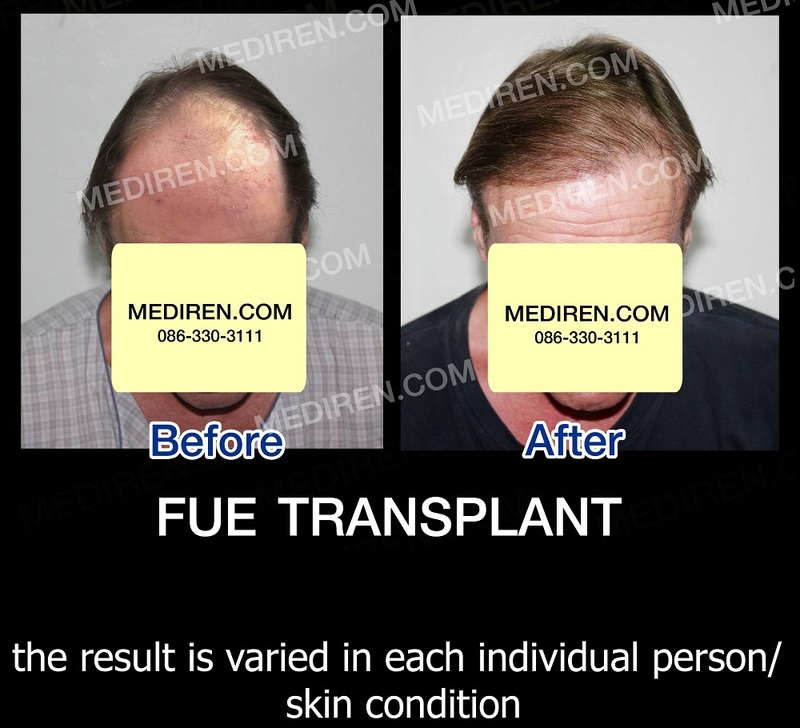 OUR TEAM IS HIGHLY SKILLED BECAUSE WE ONLY PERFORM THE HAIR TRANSPLANT ALMOST DAILY. - AUTOMATIC DEVICE AND ROBOT ARE BETTER THAN THE STANDARD FUE OR NOT? 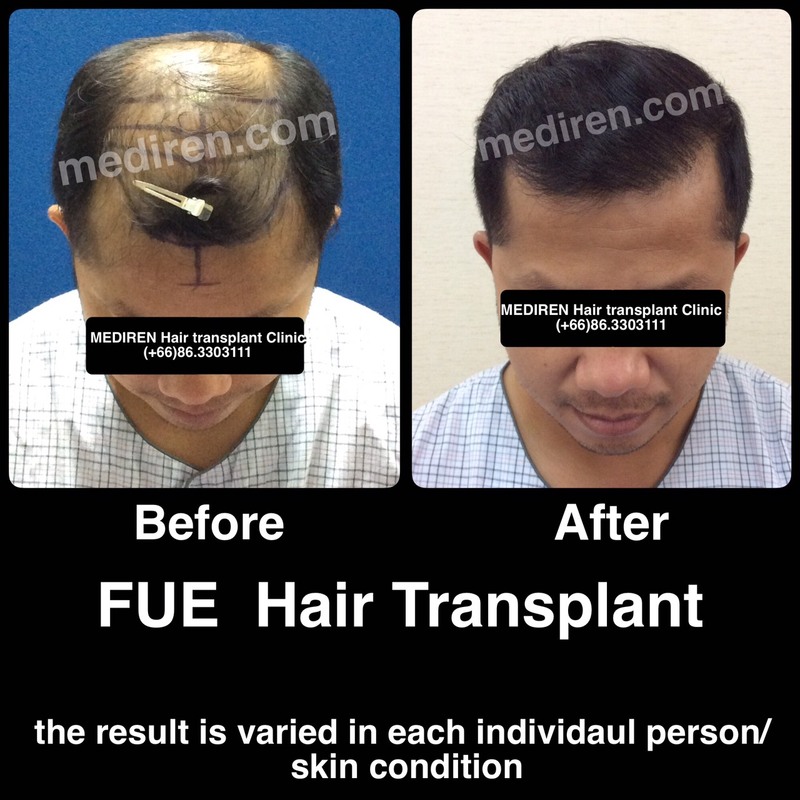 AUTOMATIC DEVICE AND ROBOT IS A TYPE OF FUE BY USING MACHINE INSTEAD OF DOCTOR. 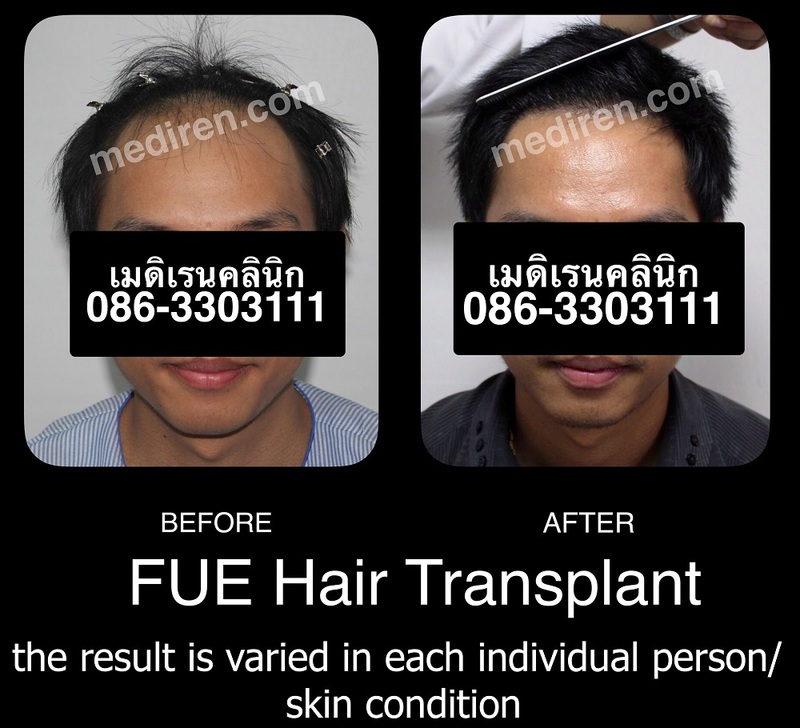 THE MACHINE IS LIMITED IN A NARROW AREA, THE BEAUTY AND SURVIVING RATE ARE NOT MATCHED TO DOCTOR’S SKILL WHO SPECILIZED IN THE STANDARD FUE. IN ADDITION, THE PATIENT HAS TO PAY EXTRA FOR THE HIDDEN COST TO VARIOUS COMPANIES. THE INTERNATIONAL SOCIETY OF HAIR RESTORATION SURGERY (ISHRS) RECOMMENDS THAT “AUTOMATIC DEVICE AND ROBOT CANNOT REPLACE DOCTOR’S SKILL”. 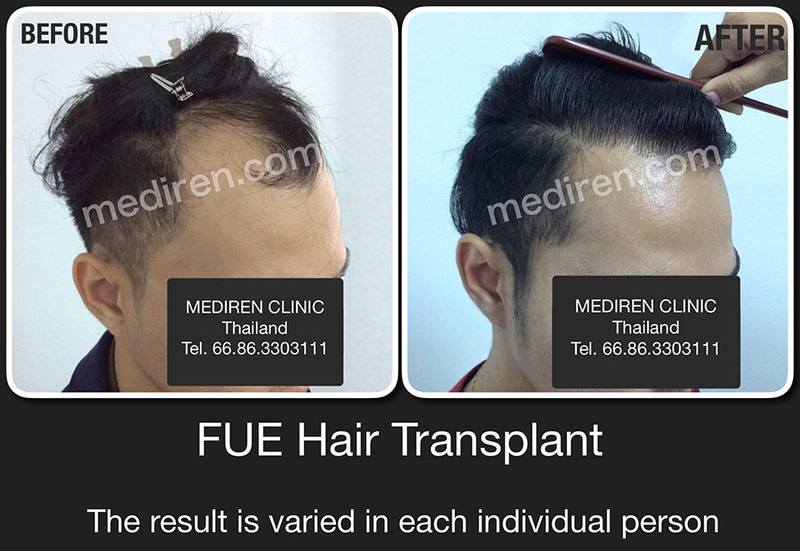 Mediren Clinic ; Udonthani Address 540/59, Makkheng, Muang, Udonthani (41000) Tel. (66) 42-211022 More Detail : Click Here!